Iron City was originally released in 1972 on Cobblestone Records, a subsidiary of Buddah Records that focused on jazz releases during the early 1970s. Interestingly, Cobblestone was cofounded by Joe Fields and Don Schlitten, both of whom would go on to cofound the Muse Records label, which explains why Muse re-released Iron City in 1977 after Cobblestone folded up shop. My copy is an original white-label promo copy on the white-and-black Muse label, as opposed to the normal light blue-and-black label version for the commercial releases. It is a lightweight piece of vinyl, not unusual for this time period, but the sound quality is quite good considering. I paid $10 at a local shop, a steal in my book for some Grant Green and Big John Patton, two of my absolute favorites when it comes to the jazz organ and guitar trio setting. Due to it's somewhat obscure original release in 1972, the recording has floated around with four different cover versions on LP and CD. The original cover seems the classiest of the lot, I really don't know what they were thinking with the Muse cover illustration, it's not well done no matter how you look at it. That is really the only downside to picking up Iron City in it's Muse incarnation, you will have to stare at the silly cover while you enjoy the excellent music it holds within. I've been a huge fan of Grant Green ever since a buddy turned me on to Hank Mobley's Workout album nearly twenty years ago (it is still one of my favorite jazz records to this day). That LP shows off everything that is great about Green, the effectiveness of his soulful bluesy single-note jazz licks, the very style that made him a master of the hard bop, soul jazz and jazz funk styles. After Workout I made my way to Green's undisputed classic Idle Moments, an album that should be a part of any self-respecting jazz collection. Eventually I would discover Solid and The Complete Quartets with Sonny Clark, two sets of music that unforgivably didn't see the light of day until the late-1970s, and in my opinion contain some of the best music laid down for Blue Note in the 1960s. Iron City was recorded in 1967 during a down period for Green, when he was dealing with a drug addiction and had temporarily left Blue Note (he recorded two albums for Verve during this time, one of which remains unreleased). While in Pittsburgh playing a gig with Big John Patton and Ben Dixon, the trio hit the studio for a quick one-off soul jazz session. 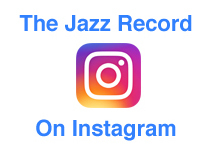 The resulting album has a much looser feel than most of his previous Blue Note albums, it's more of a jam session with the trio riffing on a mix of originals and standards. The trio obviously had a true rapport, with Green and Dixon having played together on at least a dozen session in the early-1960s, including on a few of Patton's finest LPs from that time. The standout tracks are definitely the title track and High Heeled Sneakers, both of which really let the group cut loose and have a funky good time. 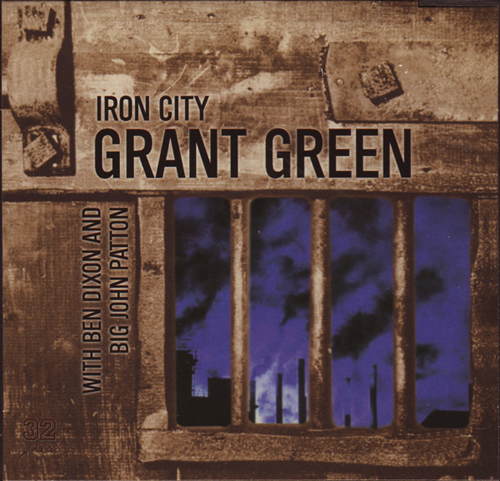 If you dig Green's playing on the many soul jazz sessions he was a part of, Iron City will be right up your alley, especially if you like yours a bit more on the funky side. If you're a fan of Big John Patton - and you should be - you will find the album especially to your liking. I'd say it definitely is a bridge between the albums Green had been making and the direction he would soon take on classic jazz funk albums like Alive! and Live The Lighthouse. While it is easily argued that Iron City doesn't rank up there with the very best of Green's work as a leader, it still stands as one of his finest trio sessions, making it worth owning in whatever format you can find it on. Here is an absolutely fantastic video of Grant Green, Barney Kessel and Kenny Burrell performing live at Ronnie Scott's Jazz Club in London in 1969. Talk about some guitar firepower. The track is Blue Mist and they are joined by Larry Ridley on bass and Don Lamond on bass. Spectacular (and rare) stuff! This next video clip is audio-only of Green performing Cantaloupe Woman live at the 1966 Newport Jazz Festival with the Billy Taylor Trio featuring Taylor (p), Gene Taylor (b) and Billy Kaye (d).